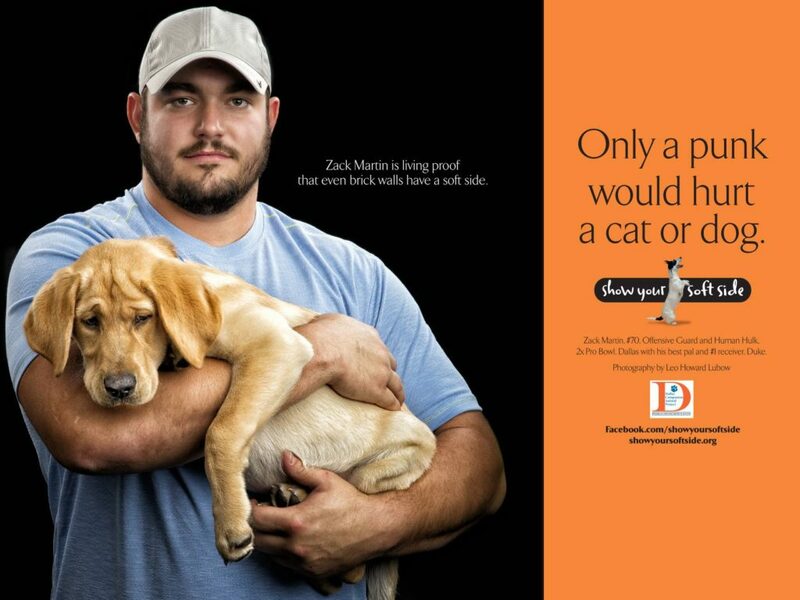 Show Your Soft Side is an award-winning campaign that was developed to combat the alarming incidence of animal abuse in Baltimore. 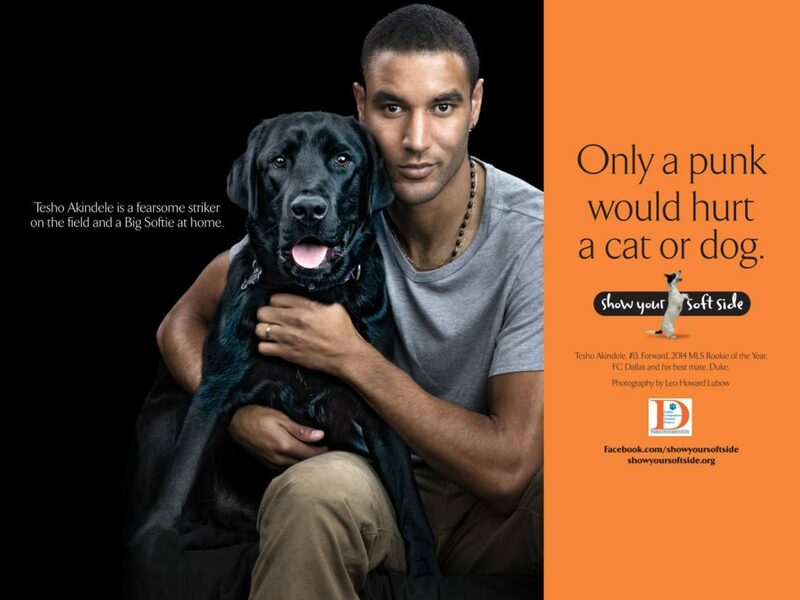 First launched in September 2011, its goal was to change the mindset of young people who often view the maiming and torturing of defenseless cats and dogs as a sign of “toughness” or “manhood” – a critical need in view of research that’s borne out the fact that kids who abuse animals soon graduate to even more violent crimes. 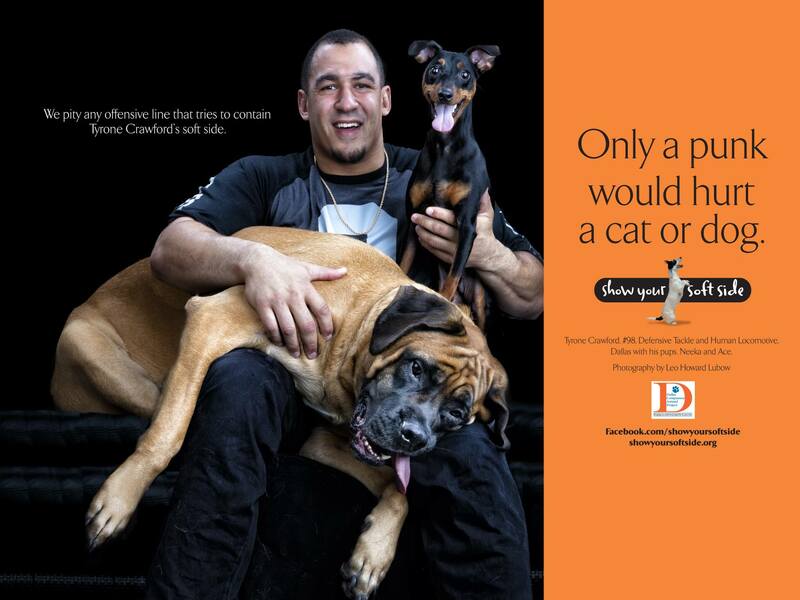 The posters, billboards and print ads feature well-known athletes to change the mindset of young people who all-too-often view the maiming and torturing of defenseless cats and dogs as a sign of “toughness” or “manhood.” The message of the campaign is that compassion towards animals is a sign of strength, not weakness. 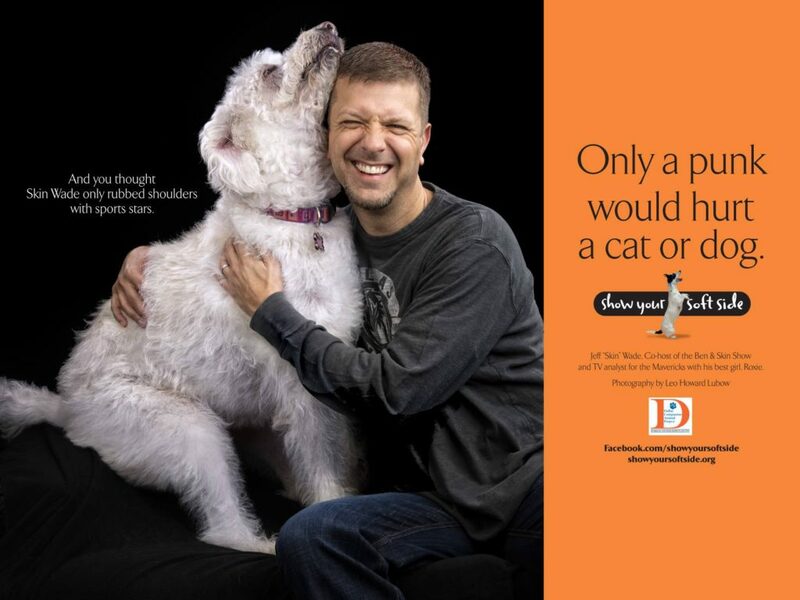 Each image makes the point – only a punk would hurt a cat or dog. 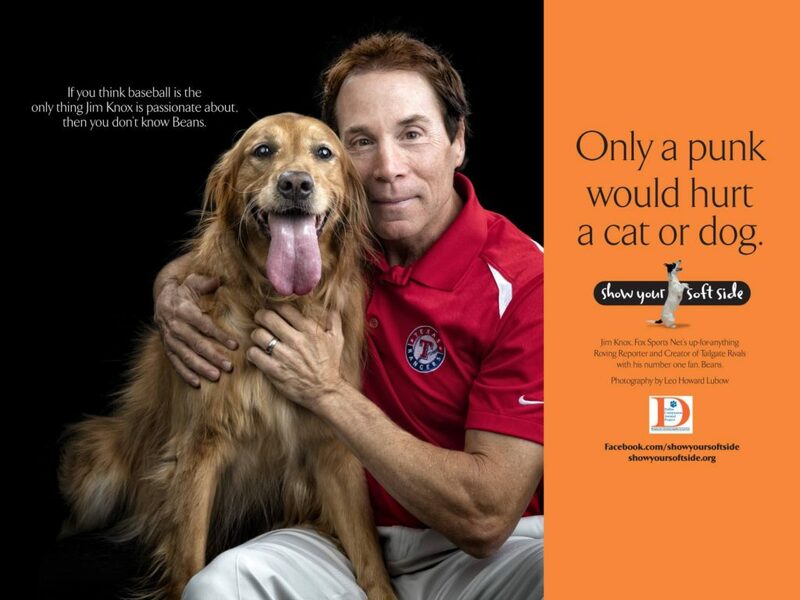 Now, Dallas Companion Animal Project and Costa Sports Marketing are bringing this historic marketing and education campaign to Dallas! The Dallas Companion Animal Project is about to put Dallas on the map when it comes to fighting animal cruelty. Has been featured in news and media outlets from Baltimore to Brazil, including the Associated Press, Huffington Post, Animal Planet, Mother Nature Network, as well as virtually all the local Baltimore TV and radio stations. Was adopted by the Association of Prosecuting Attorneys as a learning tool for prosecutors across the country. Built a strong online presence that has directly increased adoptions, donations and volunteerism for BARCS (Baltimore Animal Rescue Care Shelter). 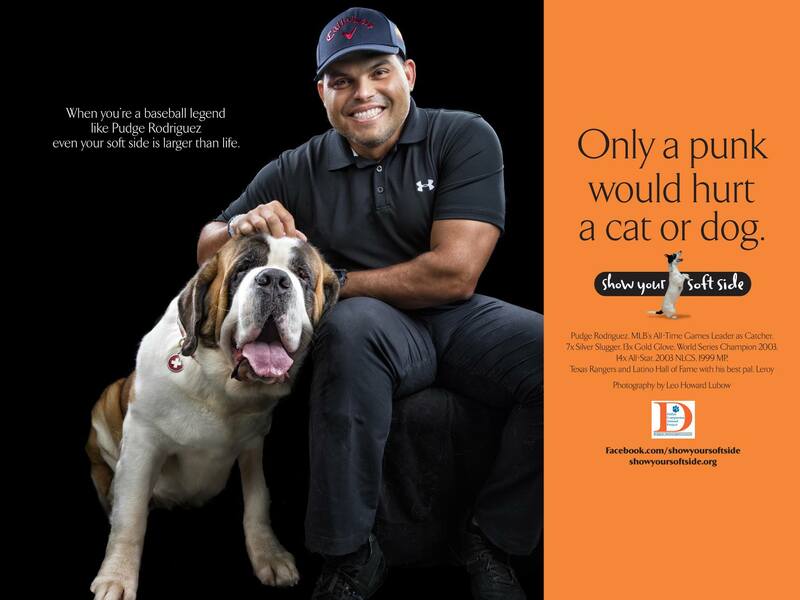 Developed a number of branded Soft Side events– Pawject Runway, Soft Side Night at Camden Yards and The BowWowZa Awards – to raise money for local shelters and bring the local rescue community together. Participants include over 125 official Softies to date from all fields of sport (NFL, NHL, MLB, MMMA, Indy Car) as well as recording artists, actors and stuntmen.